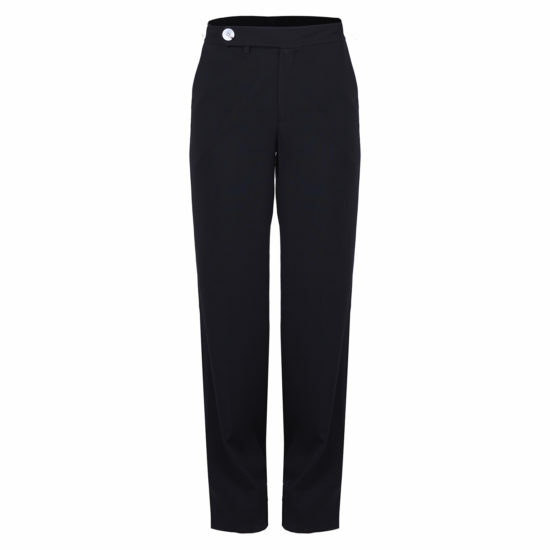 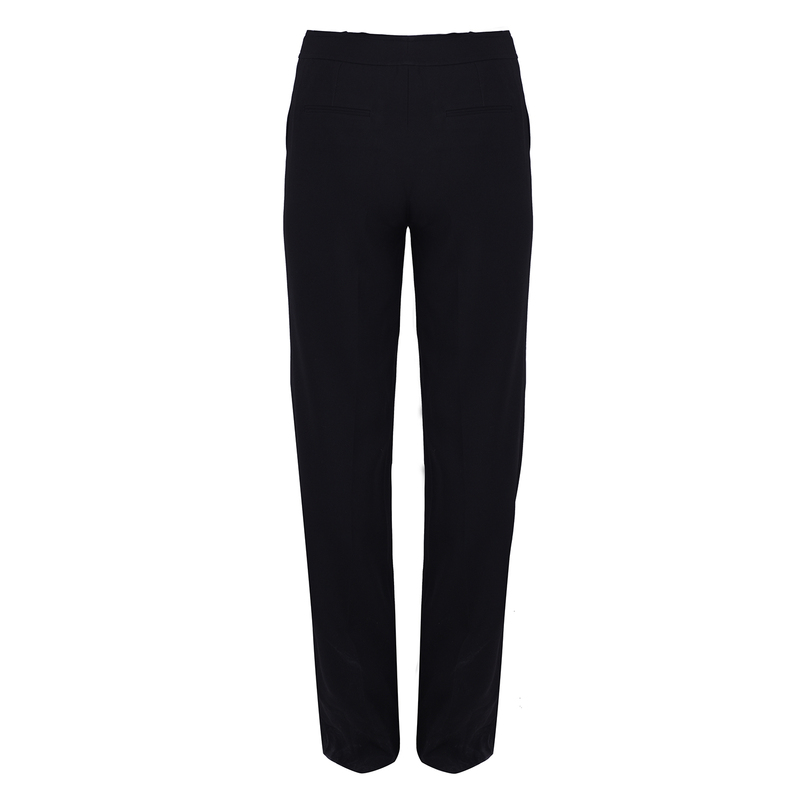 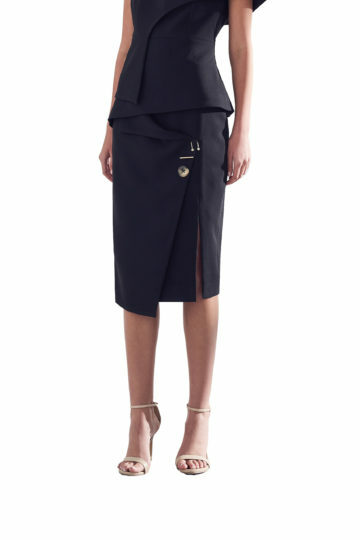 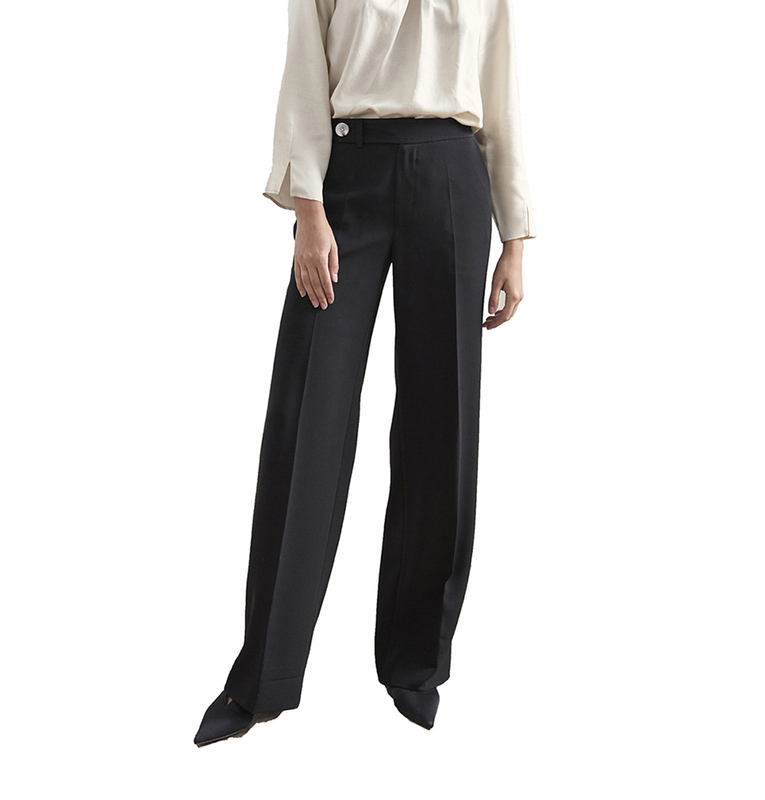 High-waisted black wide trousers with button detailing at the waistline. 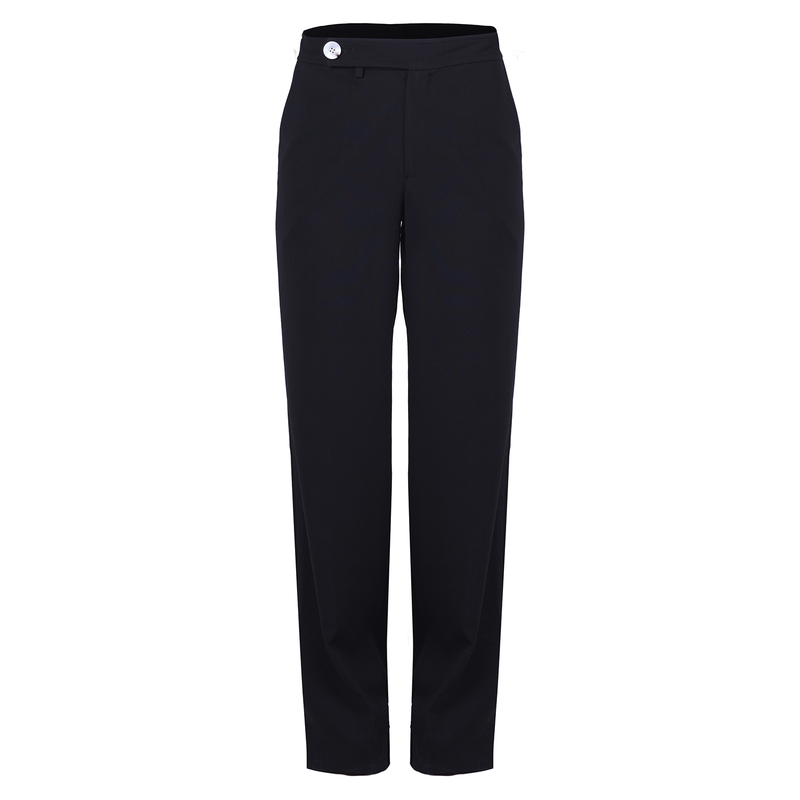 Whether it’s a business meeting, a date or a day out shopping, these trousers are perfect for that. They’re very comfortable and versatile.